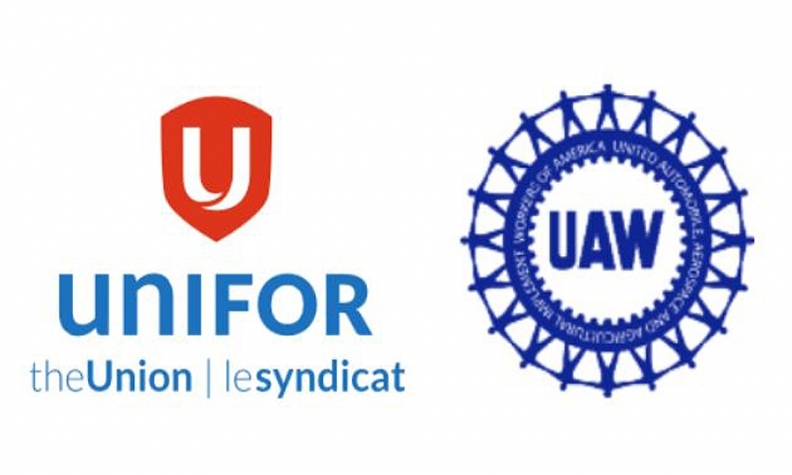 Unifor and the UAW have joined forces to urge the governments of Canada, Mexico and the United States to make significant changes to the North American Free Trade Agreement. The strengthening of labour standards and raising wages. Real “made in North America” rules. A fair share of benefits for workers in each country. The average autoworker in Mexico makes around US $3.95 an hour and have stagnated under NAFTA, according to the unions. "This joint statement is an important message for governments in Canada and the United States to hear. We will not allow trade to pit worker against worker," Unifor National President Jerry Dias said in the statement. "Auto workers are standing together across borders to ensure any renegotiated NAFTA delivers gains for all." Unifor is Canada’s largest private-sector union, formed through a merger of the former Communications, Energy and Paperworkers Union of Canada and the Canadian Auto Workers union, which broke away from the UAW in 1984. Unifor and the UAW don’t normally work closely together, often avoiding comment on one another’s philosophies. For example, while the UAW has often negotiated profit sharing as part of its auto contracts, Unifor refuses to entertain the idea. But both unions maintain that NAFTA has been detrimental to the auto industry in both Canada and the United States, costing both unions thousands of jobs. "The time has come to make major changes to NAFTA. Little tweaks, or a do-nothing approach, won't cut it," UAW President Dennis Williams said. The statement makes no mention of working with the Trump administration, which has supported the UAW's demand for NAFTA changes. The UAW supported Hillary Clinton for president last year and has traditionally supported Democrats across the board politically. Dias has said in the past that he agrees with President Trump on only one thing: That NAFTA must be renegotiated. Since 1994, the year NAFTA went into effect, automakers have closed four assembly plants in Canada and 10 in the U.S. while Mexico has gained eight new plants. Although, earlier this year, Ford Motor Co. cancelled plans for a US $1.6 billion plant in San Luis Potosi, Mexico. Instead, it will invest US $700 million to expand the Flat Rock, Mich., factory. The unions were careful to not blame the Mexican workers for the shift in production. Citing several Canadian and U.S. government sources, such as Statistics Canada and the U.S. Congressional Research Service, the unions say the shift in production to Mexico from Canada and the U.S. has led to surging auto deficits with Mexico. The United States had a US $65.3 billion auto trade deficit with Mexico in 2016, up 1,814 per cent when compared with a US $3.6 billion deficit in 1993. Canada has also seen its auto trade deficit with Mexico climb to US $7.1 billion in 2016, up from US $1.6 billion in 1993. “Auto trade within NAFTA should not be considered in isolation,” the unions warn. “As a region, North America has persistent and growing automotive trade deficits with other key auto-production regions including Japan, South Korea, the E.U. and increasingly China. The United States triggered a 90-day consultation window for NAFTA talks on May 18. On or about July 17, the United States must publish a detailed summary of its objectives for the renegotiation. And talks can officially begin on Aug. 16, which marks the end of the 90-day consultation period.